If the print is dashed, streaked or on the monitor screen displays a Low Ink message. That means you must immediately refill your printer ink in order to the print results can be normal again. Do not forget to use suitable printer ink for the best printing result. You should not mutually replace the ink brand in order to keep your printer cartridge durable. To fill cartridge printers that are still in a sealed state / cartridge has never been refilled. 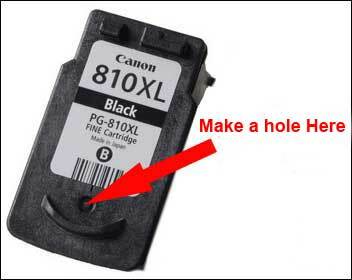 Then you have to make a hole in the cartridge first as the path of ink into the cartridge. After that, you can refill the printer ink properly. 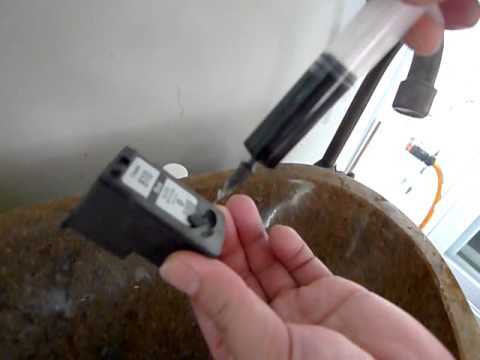 To perforate the cartridge, use a small needle that is usually included in the ink box, make a cartridge hole the size of an ink syringe to make it easier in refilling the ink. Take a tissue and paste it on Nozzle Head. 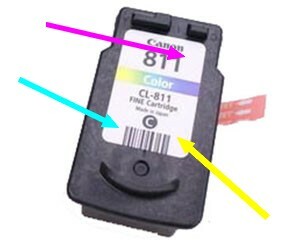 If the ink that is attached to a solid colored tissue and there is no dashed line, it means you have successfully filled the printer ink properly. Ok, now the process of refilling printer ink has been completed. Next reinsert the cartridge into its original place then do Test Print to prove the result has been maximal. If the result is still striped or dashed, do Head Cleaning on the printer then test print again until the result is really maximal. 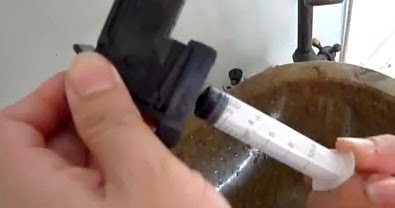 To fill the color ink cartridge, the exact same way to fill the black cartridge. The difference in color cartridge you need to make three holes cartridge and should not be wrong in injecting the color ink is not mixed and will affect the print later. If you do not know the location of the color, apply a tissue on the head cartridge then the ink will come out in a row from the left of Blue, Red and Yellow. So to fill the ink you just follow the order of color.